How do I use or remove the Calendar feature? The Calendar feature allows you to view past, current, and upcoming publication dates for your submissions. Read our help article for information to learn how to add, edit, or delete publication dates. 1. 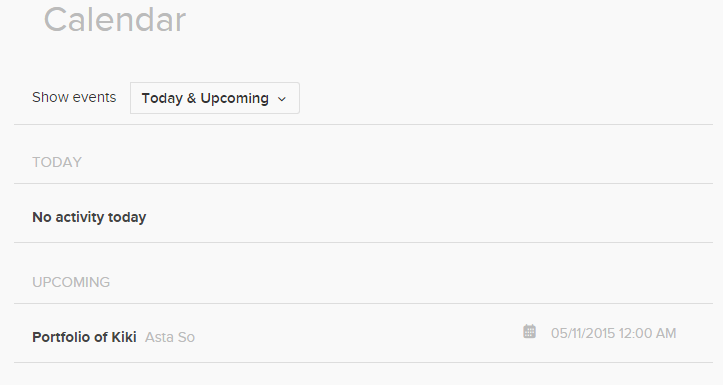 Click on the More dropdown menu in the main navigation bar, then select the Calendar option. The default view shows submissions with a publication date of today, followed by a list of submissions with upcoming publication dates. Click the Today, Upcoming, or Past links on the right-hand side to filter the list. 1. you can remove it by clicking the More tab in the main navigation bar and selecting Account. Under Profile, uncheck the Enable Calendar box at the bottom of the page. Click Update Profile to save your changes.